If you are currently ISO certified, then you already know that on September 15th of this year, the 9001:2008 version of ISO will no longer be valid, and you will need to update to ISO 9001:2015. After ISO released their most updated version of ISO 9001 in 2015, they gave users 3 years to update, and that ends this year. If you’re not sure what all of this means, keep reading for an overview of ISO, the changes to it, and how you can get certified. You can download an ISO Playbook to assist! Should Your Shop Be Certified? There are several benefits to being ISO certified. Having an up-to-date ISO certification shows your customers that you care about the quality of your parts and that you are committed to turning out excellent parts. Increasingly, customers are demanding an ISO certification as proof of your level of quality. However, not all of the benefits are purely for the customer. By ensuring your parts are good throughout your process, you won’t waste time and money completing a piece that had quality problems early on. If you are keeping track of quality, you can catch the problem early and either fix it, or bring in a new piece without wasting so much time on the scrap piece. Having these clear standards in place will also help you lessen your scrap. Because there will be no doubt about what is acceptable and what isn’t, your employees will better be able to meet those standards and not leave something “good enough”. By having quality concerns baked in from the beginning, your employees will create parts with a higher quality with less scrap. Addressing quality issues is a constant, but the way ISO is approaching them has changed slightly in ISO 9001:2015. In general, the changes to ISO 9001:2015 are aimed at making it more user-friendly and working with increased globalization. For example, they changed the High-Level Structure so that all ISO standards are the same across their management systems. This makes it easier to become certified across multiple ISO systems. Preventative action is now covered by determining risks and what actions you would take to address them. This prompts you to plan ahead for risks and ways to manage and recover from them instead of being blindsided. ISO 9001:2015 has also changed the language to be more easily accessible so it is easier to read and understand. This change will allow you to be sure you know what these standards require, which will make it easier for you to meet those requirements. In addition, there is a section for the context of your company which requires you to find relevant issues both inside and outside of your company that would affect your ability to achieve the quality you need. This allows you to better plan for global or regional differences that otherwise might be forgotten about. There is another section that requires you to determine the needs of people impacted by your quality system. That way, you can be sure nothing important is forgotten. 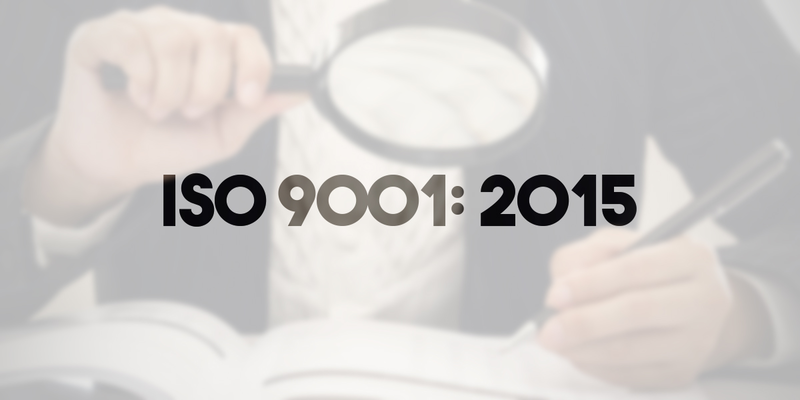 Understanding the benefits of ISO 9001:2015 is one thing, but becoming certified is another. There are several routes you could go to get your shop certified in ISO 9001:2015. One option is to train someone within your shop to be that leader. This would mean you would trust this person to learn ISO standards inside and out and to guide your shop in meeting them. While it might seem to be the less expensive option, keep in mind that you will need to train this employee on ISO. While they are learning and then getting your shop to those standards, they will not be able to do much of their other work. In addition, if they do not learn ISO standards well enough to get your shop certified, you will need to go another route in addition to this one. Another option is to hire a consultant. Consultants come in a wide range, from the less expensive options that are less hands-on and take longer, to the more expensive options that are very hands-on and will get your shop certified quickly. Assuming they are well-trained in ISO 9001:2015, you can be sure they will lead you to certification. It is simply a matter of how much time or money it will take to get there. A third option is to work with your ERP vendor, if you have an ERP system. Many ERP vendors have employees trained in ISO certification and they might be a more effective and cheaper option than an outside consultant. In addition, your ERP system may have functionality to help you become and stay ISO certified, such as providing documents. If that module is integrated with your ERP system, you won’t need to duplicate entries because the information will already be there. There is a lot to know about being ISO certified and about updating from ISO 9001:2008 to ISO 9001:2015. This overview should have given you an idea about why you might want to be ISO certified, what has changed with the latest update, and how to become certified. From here, you can decide what this update means for your shop, whether that means becoming certified in ISO 9001:20015 or not. As with anything this complicated and wide-spread, there is a great deal to learn about, but this article is a good first step. See how Roberts Precision Machine used E2’s RDS to become ISO certified.